Is it Old Edgefield or Just Modern Pottery? Lately, it seems, I am having this discussion over and over with more and more people. It involves what exactly constitutes “Old Edgefield Pottery” or “Old Edgefield-style pottery“. To start with, this refers to wood-fired, alkaline or ash glazed type of pottery made in the 19th and early 20th Centuries in what was known as the Old Edgefield District. 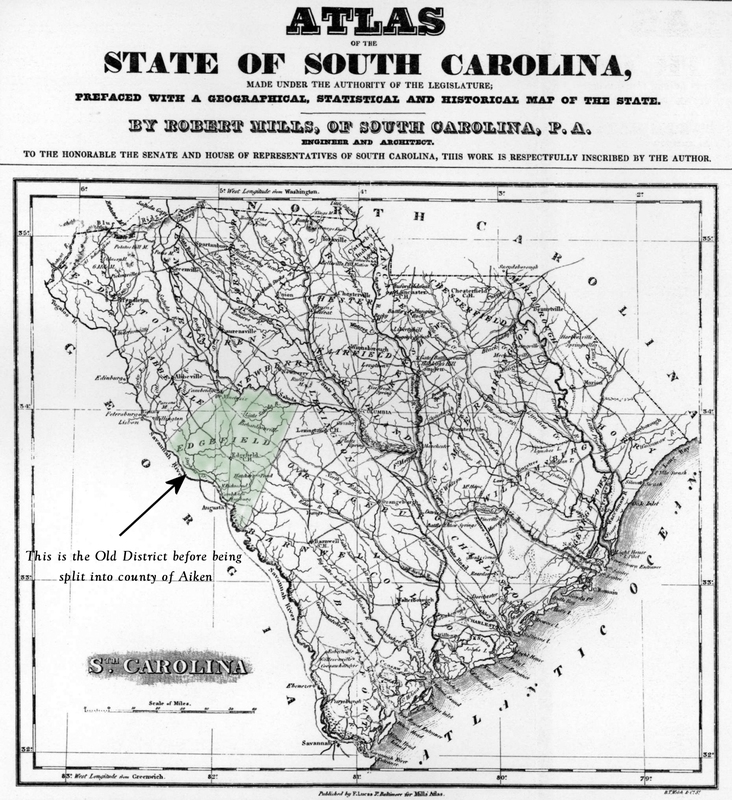 This district is no more since it was divided into the modern day counties of Aiken and Edgefield. We all agree that the 20 or so old potteries located in the old district qualify as having had made Old Edgefield Pottery. Now, let’s get down to matters of present day. I was born and live in this same area of South Carolina in discussion. I produce wood-fired, ash-glazed pottery from the native clays of this area. It is very difficult to make pottery in this manner. I fire a groundhog kiln at my house and one at my studio in Augusta, GA. I describe my work as Edgefield-style, not Old Edgefield. I see a lot of modern pottery for sale on ebay, in galleries, etc., describing it to be “authentic” Old Edgefield pottery or Old Edgefield-style pottery. Yet, it was fired in an electric or gas kiln, made with commercially bought, blended clays and may have been made in Montana. How is that even close to what the true old pottery is? It’s NOT! The truth is, Old Edgefield pottery gains in popularity by the day. Each new auction of old pottery tops the previous auction. There are many out there who are capitalizing on this and misleading the public as well as their customers. As I stated, it is hard work to produce pottery in the old manner. Often, the better part of a kiln load of pottery is lost or damaged due to events beyond control. The tasks of keeping good wood in supply and dealing with digging and processing the clay are endless, not to mention the hours spent making pots and glazing them. It can take the better part of a day just to load a groundhog kiln and up to 40 hours to fire it! There are excellent potters in my area who make good pots, but they don’t have anything in common with the Old Edgefield pottery produced here or authentic reproductions of it. They have few failures in their electric kiln and really churn the pots out. And, for reasons I’ve yet to understand, charge outrageous prices for their work. An Edgefield-style piece I made. This look cannot be duplicated in modern electric or gas kilns. So, after my long rant, I propose a new title to apply to this modern work produced by modern methods, Edgefield-inspired pottery. Let’s all work to honor the most significant pottery to ever be produced in the USA by not muddying the water and purposefully misleading the public. Let’s use appropriate terms and descriptions when advertising our pots. Amen brother Gary. After reading your rant, I have resolved to never call my pottery simply “Raku” again. But there is a problem with that. When I’m talking to people about what type of pottery I do, I always call it Raku but follow with an explanation that it is actually not Raku in the purist sense of the word, but more accurately called “Post Fire Reduction” pottery or American Raku. Typically, by the time I’ve begun my monologue of what Japanese Raku actually is, eyelids begin to flutter and droop, jaws gape, drool and the first faint sounds of snoring appear. I snap them out of it by waiving my arms around, conjuring images of red-hot clay, roaring fire and plumes of sparks and smoke. In short, I have not encountered a single real-life instance where the distinction made any difference at all to potters, retail outlets, or buyers. I have not been unable to raise the slightest bit of interest in the matter. That being said, your situation is different in many respects. The disrespect commonly shown to the rightful owners of the Raku moniker is due, I think, to issues related to geography, geopolitics, ethnocentrism and a simple lack of information. That being said, typical purchasers of American Raku are not basing their decision to buy on the reputation or prestige of the name itself. With Edgefield Style Pottery, it is the buzz and prestige of the name that is fueling the desire to own. That and of course the fact that it is a beautiful style of pottery. 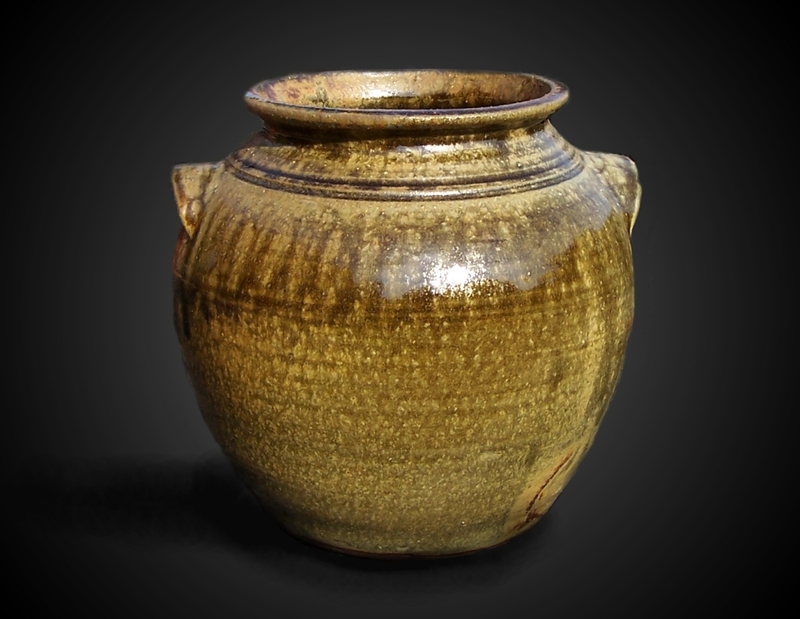 I predict Antique Road Show will be overrun in the coming years with Edgefield Style Pottery. I’m going to go edit my old raku posts now. Very nice post Gary. I’ve learned something new. I love pottery but I don’t know much about it. Yet I have you 🙂 How are you? Hi Slaghammer, you’re absolutely correct. People do the jaw-dropping-drooling action when I start my rant. I probably do nothing but confuse the general population when I try to explain the realities of Old Edgefield pottery. However, several persons are starting to use Edgefield-inspired pottery or they state their work is gas fired. I hope I can continue to wear the guilty down with my rants and that the general population won’t have to listen to any of it much longer. Your work is so fine I think you’re easily entitled to use the word raku with abandon. Gas firing is not a detriment or a shortcut in producing fine raku, in my opinion. Using an electric kiln to reproduce “authentic” 19th century stoneware is. Hi Milena! How are you? I hope you are doing well in life and with your art. The pottery from Europe is so superior to anything the USA has produced. My type of pottery was first produced in Asia 2,500 years ago. I think they were far ahead of the rest of the world in producing important pottery.